← The Dressmaker’s Duke is .99 cents! I unearthed this “Treasure” at the Salvation Army on 96th Street. 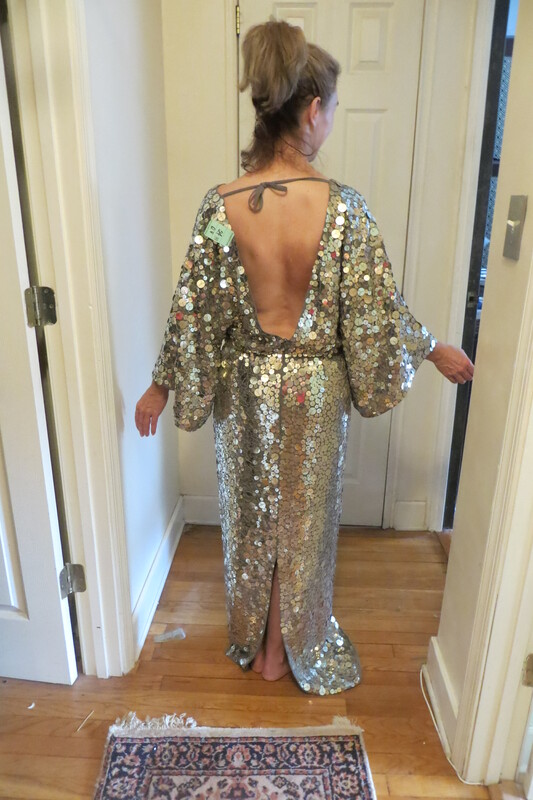 The dress is obviously too BIG for me. So I decided to hack it up! 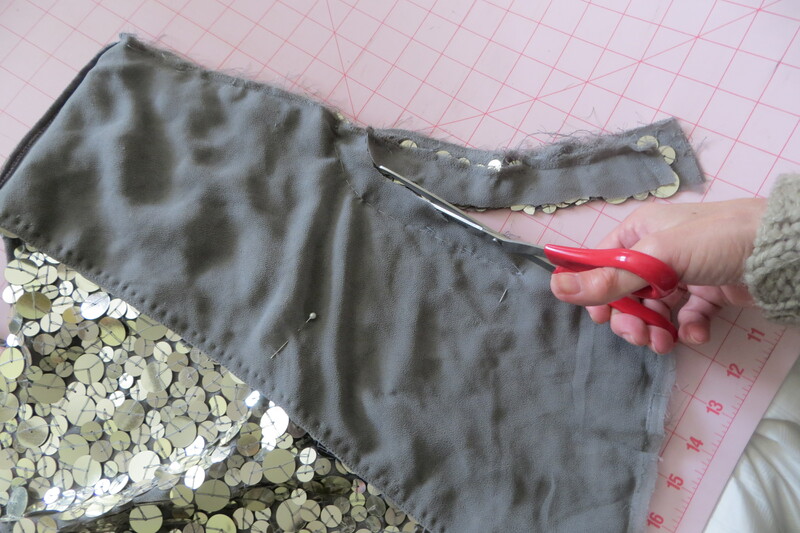 Next I cut off extra fabric at the hem. 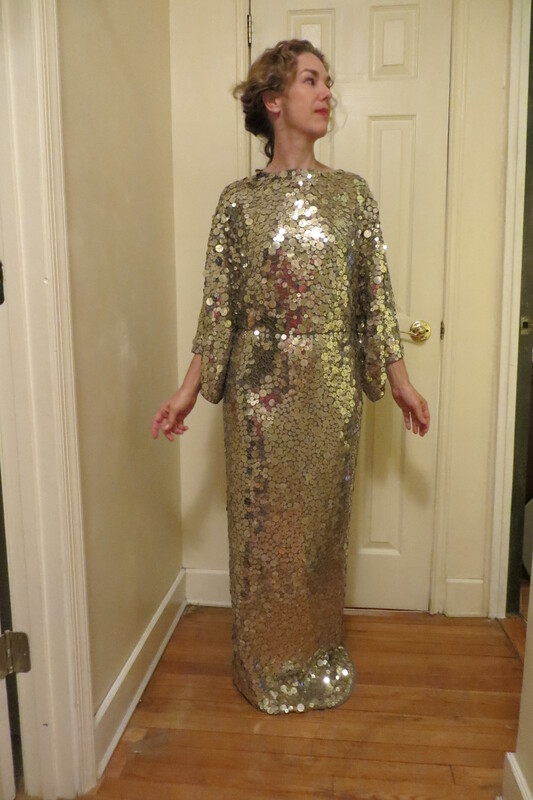 Then I make a facing and sew it to the bottom edge, and hand stich the hem. I do this for the raw selvage on the armholes as well. 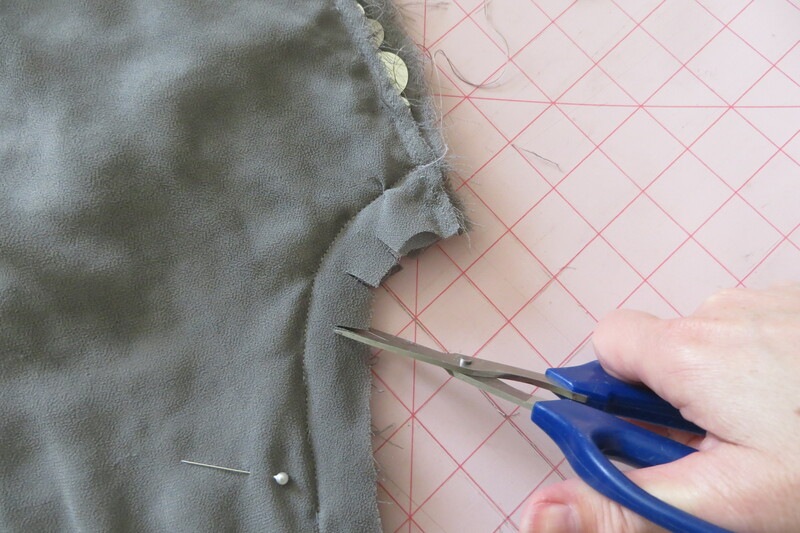 Lastly, I cut off the ties at the shoulder and move them to the back bottom as a new closure. Finito! Now for the skirt. Again,–too big. 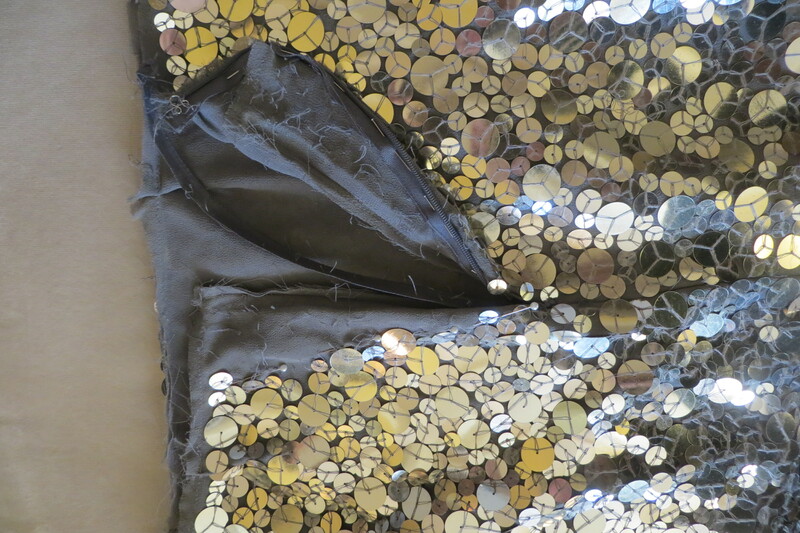 So I rip out most of the zipper, and then remove the sequins that I will not need. 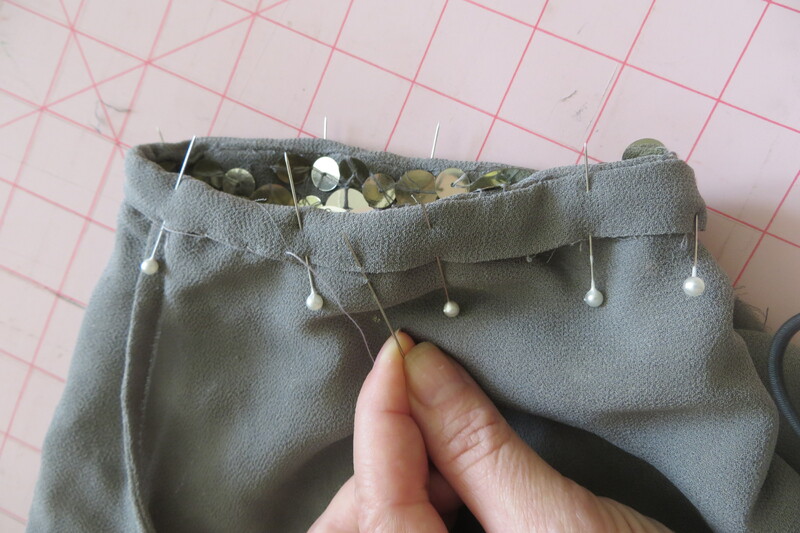 I tack the zipper back in its new place and then sew. 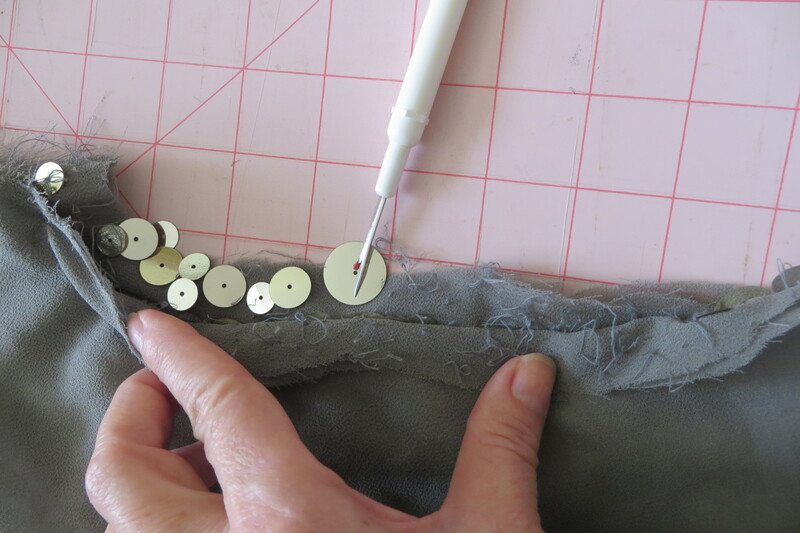 I also sew a facing into the waistband to finish that raw edge. 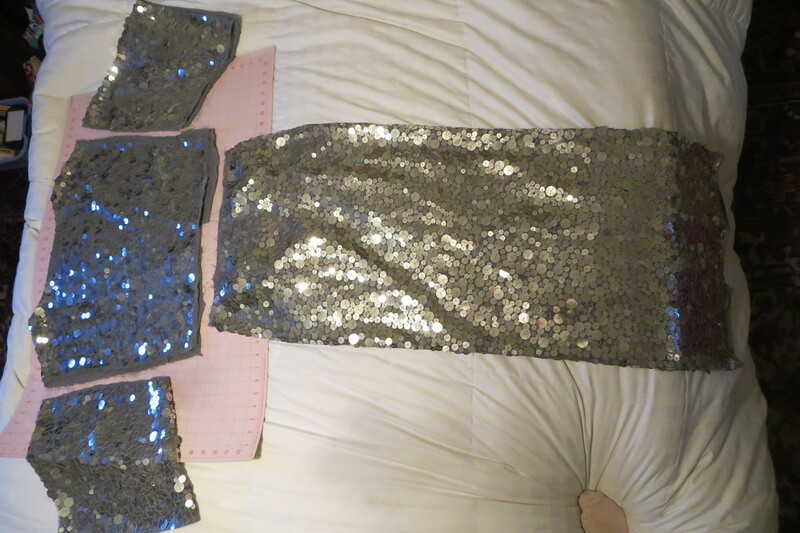 Hummm…I have extra pieces left over (the big dolman-type sleeves.) I can’t stand not to use them. 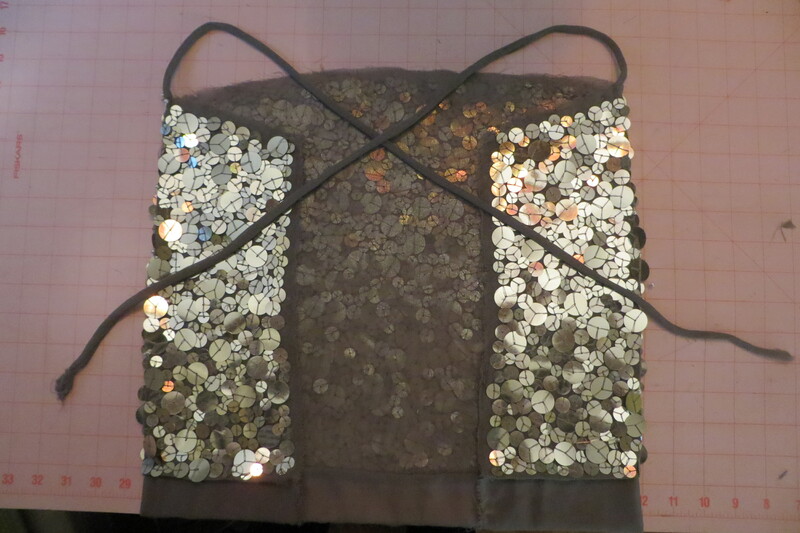 So, I use one to make another handkerchief halter-like top. Now you all weigh in. Was I successful? If so, which look do you like best? Tune in Next month on April 14th for my next Trash to Treasure! This entry was posted in Jess Russell, Regency author, romance, thrift shops and tagged dressmaking, Gewneth Paltrow, Jess Russell. Romance, midriff, sewing, The Dressmaker's Duke, Thrift store, Trash to Treasure. Bookmark the permalink.